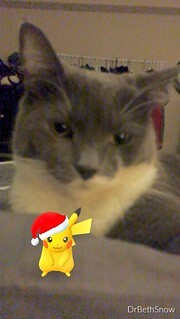 From my two cats who look most unimpressed with a Pikachu in a Christmas hat! Hhaaaaa That is really nice . 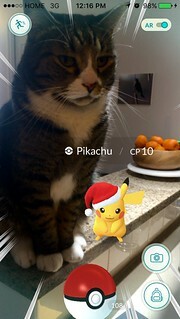 Pikachu is looking too good.